Mr. 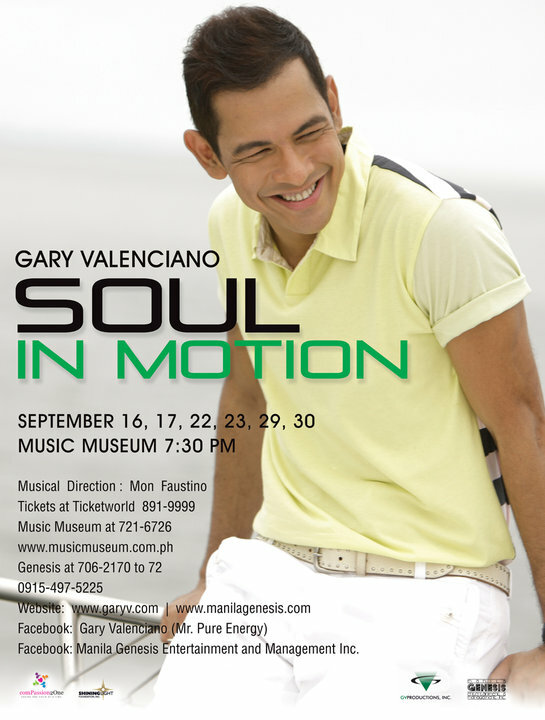 Pure Energy, Gary Valenciano, has an upcoming offering to his millions of fans - An intimate concert series at the Music Museum entitled, Soul In Motion. The said concert series will happen on September 16, 17, 22, 23, 29 & 30. 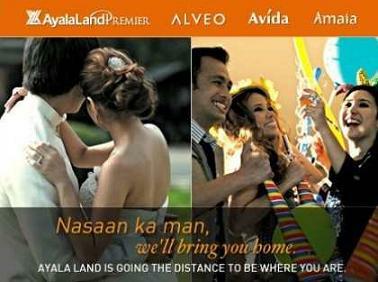 Tickets prices are at P3,500, P2,500, P1,500 and P500. Show starts at 7:30 PM. In my opinion, I could really not think of a better concert title that is very timely and fitting all at the same time. Nowadays, we have an influx of male local singers (both young and matured) whose notion when it comes to having soul in their music is through blatant display of hitting the high notes. 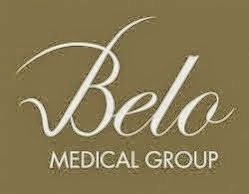 Most commonly known as belting, belting and more, more belting! Sure, it is impressive! But after a while of hearing it both live and recorded, it is already maddening to the point of wanting to squeeze the neck of these singers to death. I guess the number 1 culprit why this bandwagon keeps on prevailing were the endless singing contests we had 5 years ago to present. Why so? Judges need to be impressed! And for them to be impressed, contestants should be equipped with a voice that can belt like crazy! If singing with soul is our subject matter, the 46-year-old ABS-CBN contact artist is ahead of his league. To date, I have not heard of any local singer who can really express songs through earnest emotions and apt lyrics to its melody. It will really take a while (may be not at all) for our music industry to experience another artist who at least has the same caliber as Gary V.
The voice and overall musicality of Gary Valenciano is indeed a gift to our country we need to be proud of. This concert is directed by Mon Faustino and produced by Manila Genesis Entertainment and Management Inc. This event is also for the benefit of Shining Light Foundation, UNICEF and Compassion to One. I agree that Gary is one rare talent our country has. The rest are just mere followers. Sad truth! Keep blogging. I'm a fan. To the blogger. Thanks for writing this. Are you watching the show? May be we can meet so we can personally thank you. I am watching this show on the 23rd with my Mom. I'll share some of the pics if you are interested. Thank you fierce blogger. Sometimes when all you get are "fierce" public criticism, you encounter something that feels like a hot shower!! A breath of fresh air.